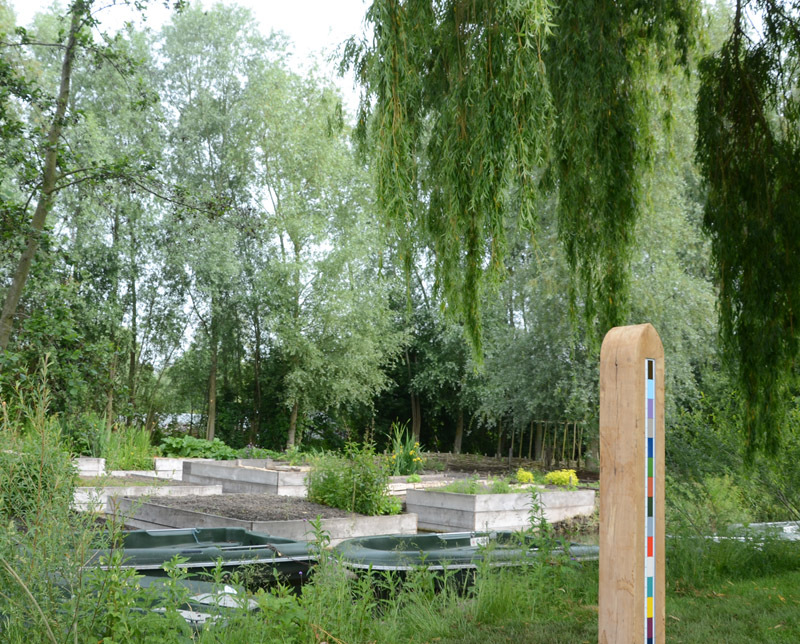 This entry was posted in jardins chromatiques, Uncategorized and tagged AJ Wells, Amiens Hortilonnage, colour, colour match, floating gardens, jardins chromatiques, public art, vitreous enamel on June 19, 2014 by fabricagallery. 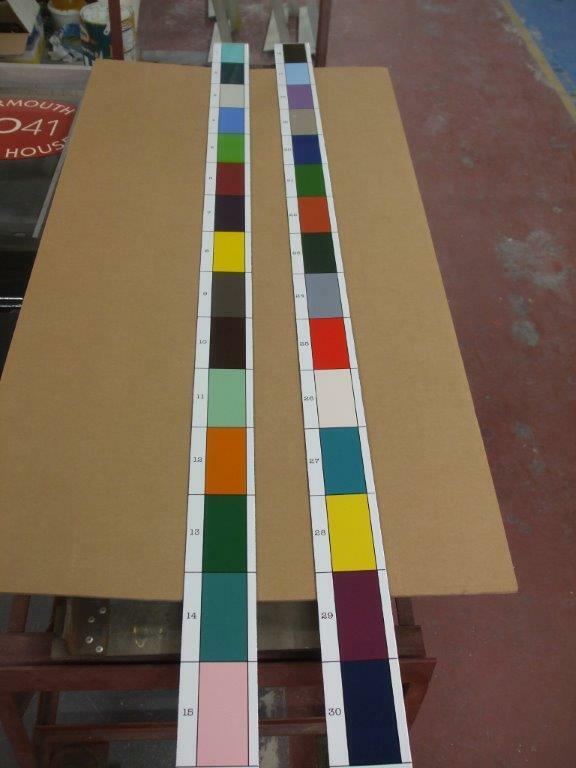 Enamel colour swatches nearly ready for Amiens Project. 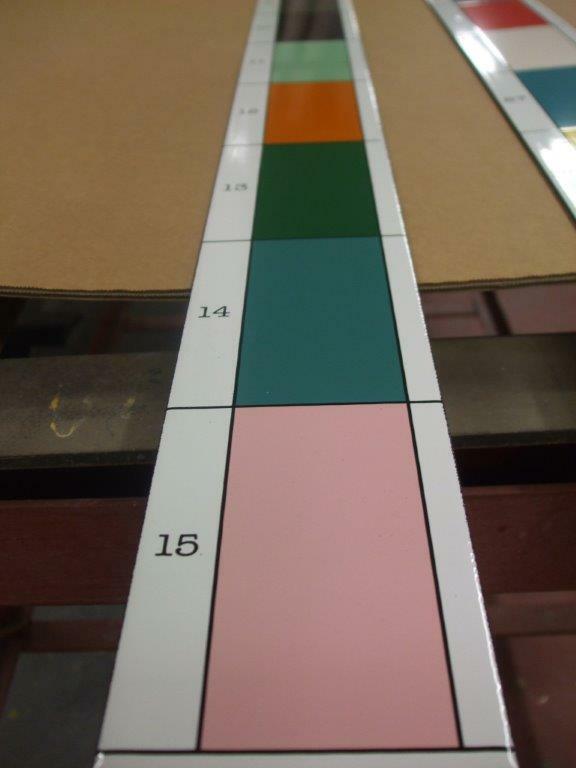 These 2 metre strips are being made at AJ Wells, vitreous enamellers on the Isle of White. 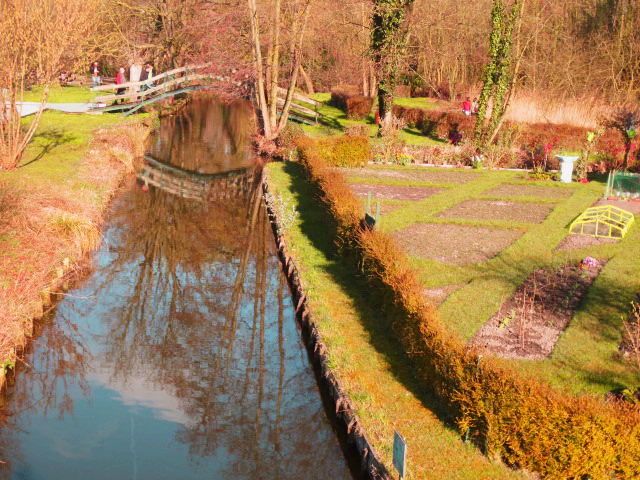 All the colours chosen have been matched to colours found in the Hortillonage, the floating gardens of Amiens. These will be installed in the next couple of weeks after being fixed to oak sculptures and installed in the Gardens. This is a public engagement project where the public choose the names of the colours via text and a website. 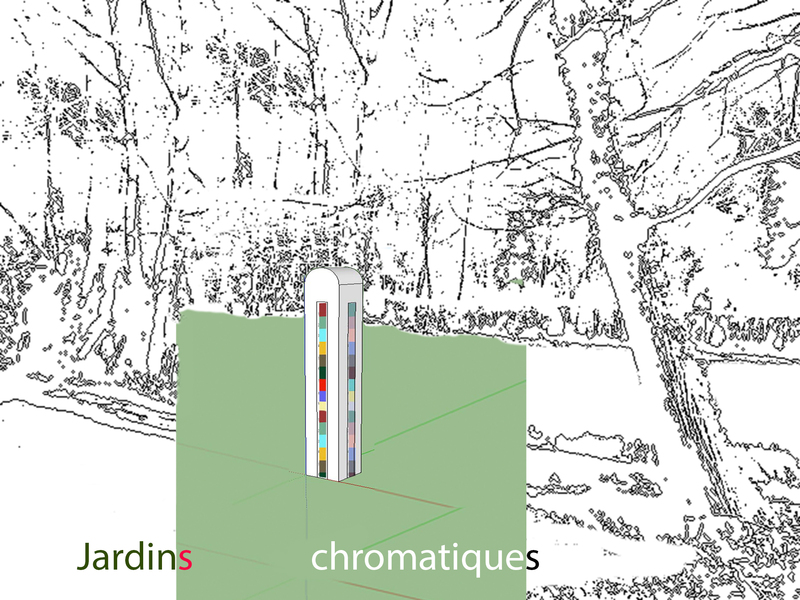 http://www.jardinschromatiques.fr – the results will go to form a colour chart for the gardens. The opening of Amiens festival is 14th June. 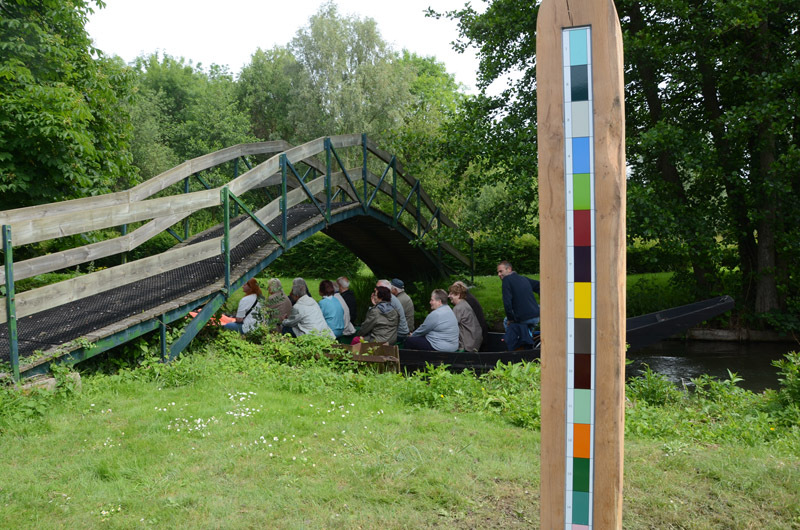 This entry was posted in jardins chromatiques and tagged AJ Wells, amiens, Amiens Hortilonnage, colour, colour chart, colour match, colour swatches, floating gardens, public art, public engagement, swatch, text, vitreous enamel on May 14, 2014 by fabricagallery. Mearz and Paul produced a dictionary of colours in 1930 – A second edition was produced 20 years later. ~It was used mainly by mycologists to measure colour changes in fungi and other mycological studies. It has also been used in measuring colour in genetics, horticulture and botany. 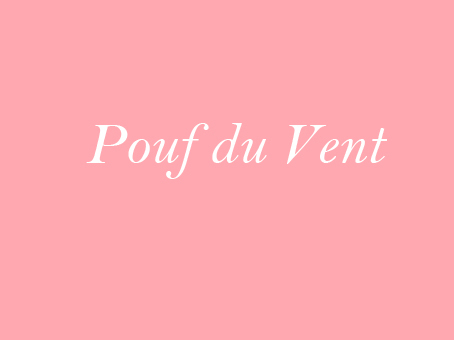 The name has intrigued me ever since I read it, as it really stands out against the other, less evocative names found in the colour dictionary – I first thought it meant Puff of Wind in English but that’s ‘Coup de Vent’ in French, I believe. The colour dictionaries of the 30’s and 40’s were partly created for the textile industry . So I thought it had perhaps something to do with textiles. When I looked into Pouf ‘history’ certainly many textile and fashion descriptions came up : headdress, hairstyle, gathered up skirt or dress into a round puffy shape, It wasn’t until I realised that Mearz and Paul’s colour dictionary was mainly used by mycologists that I realised it must be for some sort of a pink puffball fungi – so i searched and found these below! 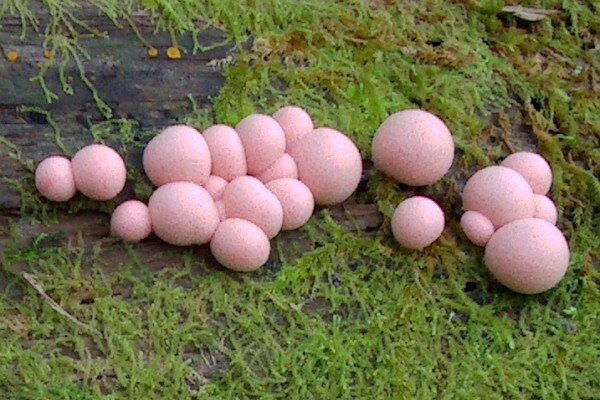 Lycogala epidendrum, commonly known as wolf’s milk, groening’s slime is a cosmopolitan species of plasmodial slime mould which is often mistaken for a fungus. Its Cosmopolitan Slime…..Not a Puff of wind at all. This entry was posted in Uncategorized and tagged colour dictionary, cosmopolitan slime, mearz and Paul, mycology, pink, puffball, wolf's milk on May 8, 2014 by fabricagallery. 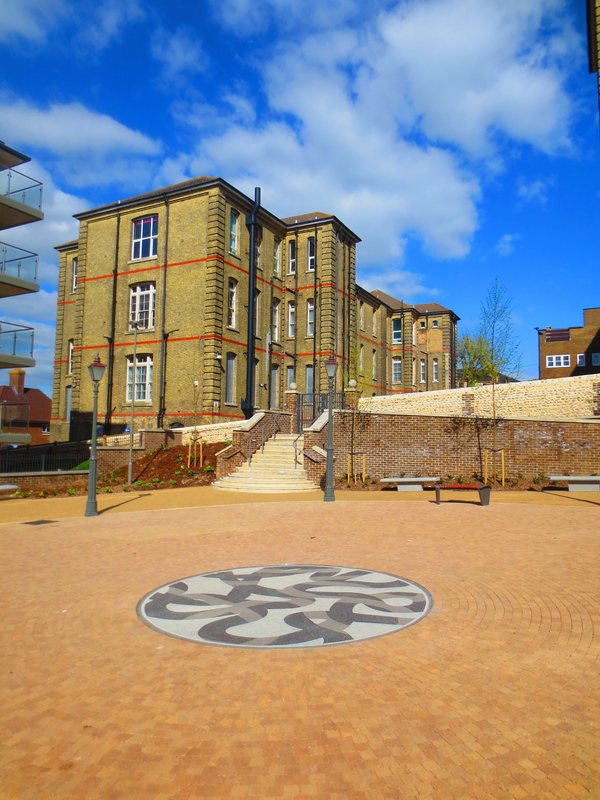 Just completed the central mosaic for the main square of Southern Housing’s latest development in the East of Brighton. 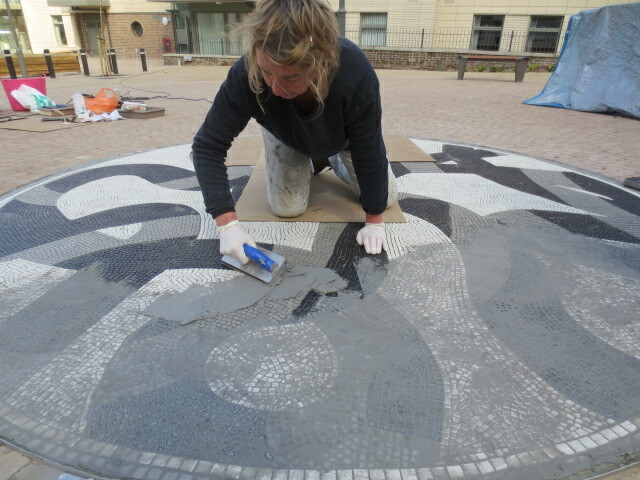 Collaborating with Jane Fordham the mosaic is 3 metres in diameter and a black, white and grey abstract design. Surrounding the mosaic are 8 re-claimed Victorian Lampposts fitted with colour changing LED’s- the residents will be able to control the colours of the lights via an app downloadable to their smart phones. The changing lights will also illuminate the mosaic and its neutral tones will be chromatically altered by the coloured lights. 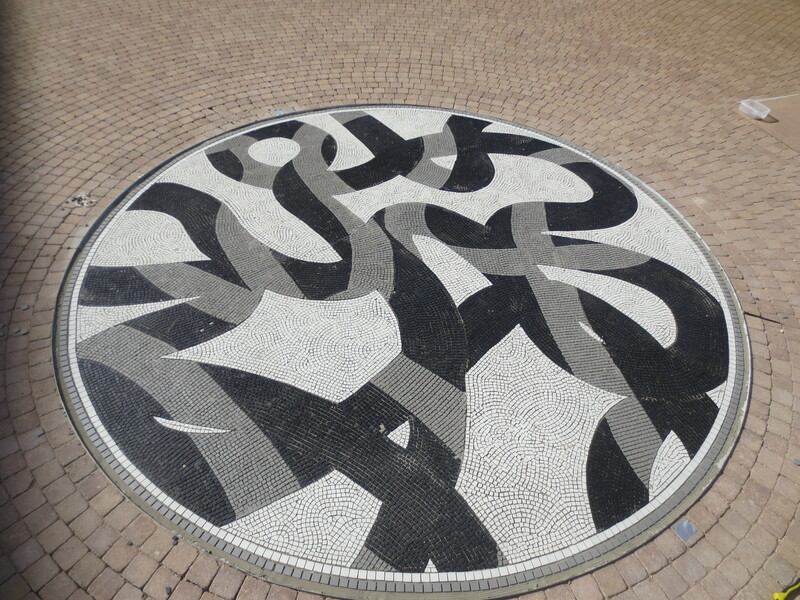 This entry was posted in Public Art and tagged art, brighton, colour, colour changing, grouting, Jane Fordham, laying mosaic, LED lights, mosaic, public art, tesserae, victorian lampposts on April 19, 2014 by fabricagallery. 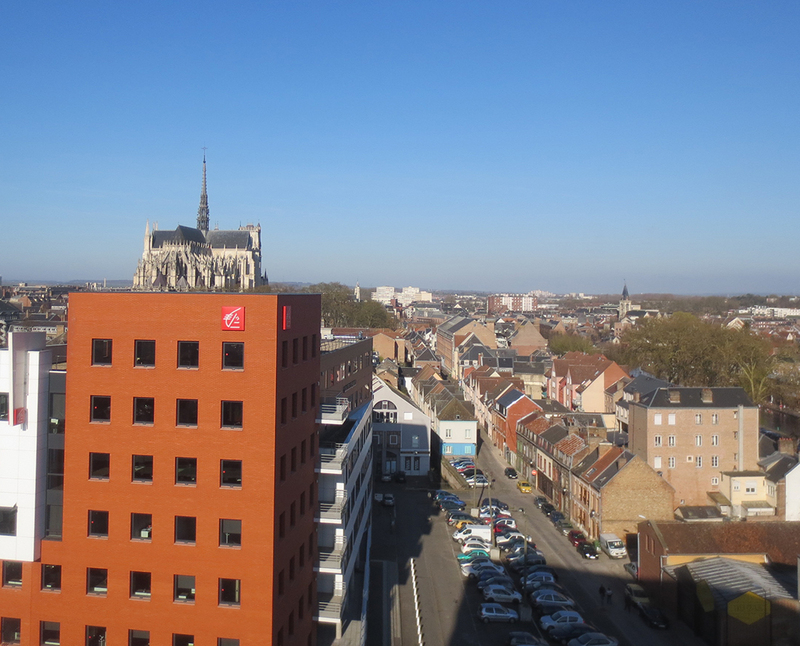 I have another project in Amiens again this year – This time to work specifically with the Hortillonage or floating gardens – I and the other selected artists and Garden designers (French and English) all met up a few weekends ago – where we discussed our projects and visited the sites. There are some really interesting projects being developed. 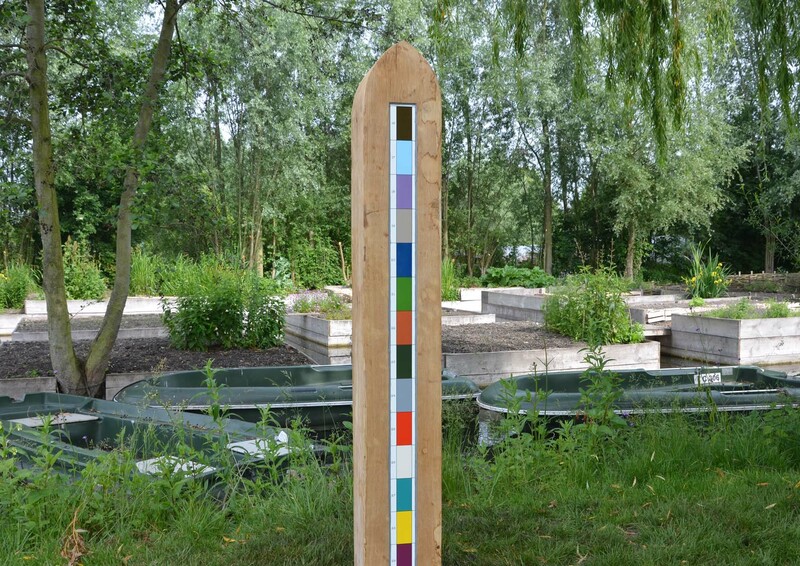 I will continue with the colour Library , first exhibited at Fabrica – this will be the first time it has been done in another language and will be done using a series of enamel colour swatches installed onto wooden sculptures (otherwise known as posts) and based on the colour in and around the gardens. It will also be the first time where the public will be able to interact with the project using smart phones and social media. This entry was posted in jardins chromatiques and tagged AJ Wells, Amiens Hortilonnage, colour, colour match, enamel, floating gardens, vitreous enamel on March 26, 2014 by fabricagallery. 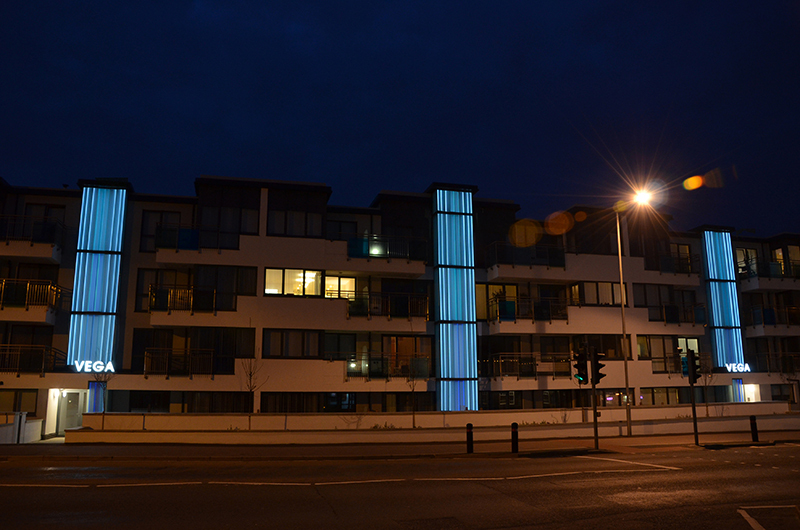 Vega building lights up ! 12.30pm tonight ! 7 metre high tide today and the top section of Vega by Hove Lagoon will light up. This entry was posted in Vega Building and tagged blue, high tide, Vega building on December 5, 2013 by fabricagallery. 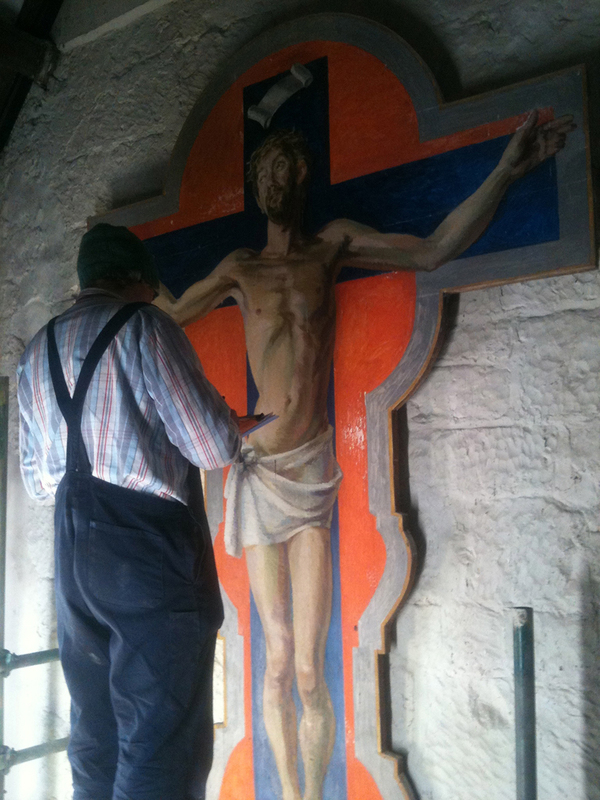 Last week we finished documenting the Bloomsbury wall paintings at Berwick Church. We spent 3 weeks documenting every crack, flake, mould spot, salt blister, and bat dropping (or maybe woodpecker, they have made a dozen holes/nests in the spire, a common problem apparently!) . I don’t think I have ever looked at an artwork (or anything) for that length of time or under that amount of scrutiny. 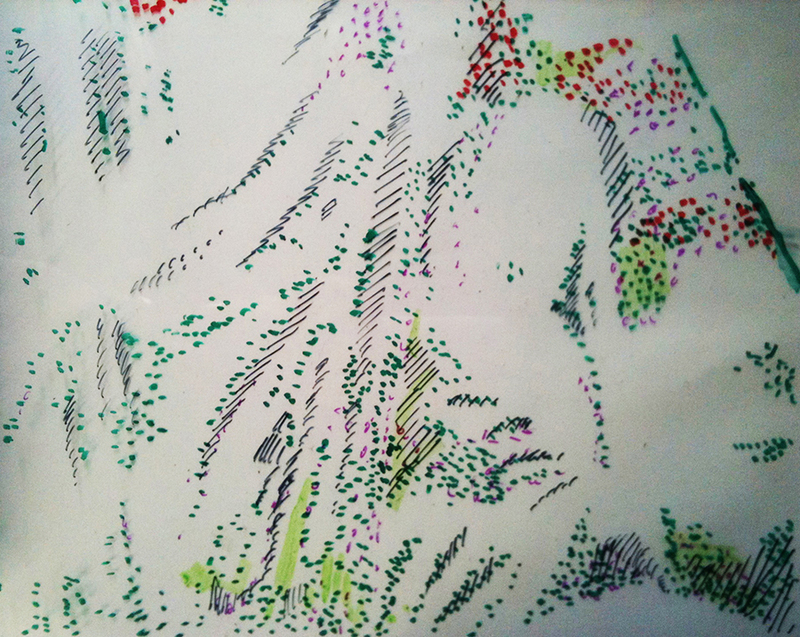 Remove the photo from behind – result- a very informative and functional plan/map but also a rather beautiful but purposeful “wise and foolish” ‘abstract’ drawing too. 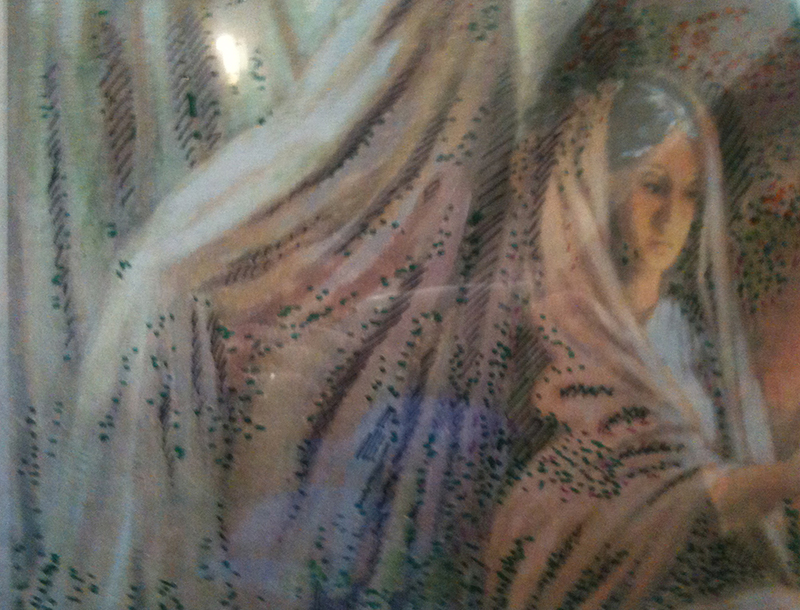 This entry was posted in bloomsbury and tagged Bloomsbury Group., drawing, Duncan Grant, Quentin Bell, Vanessa Bell, wall paintings on December 2, 2013 by fabricagallery.